Generative art can be an intimidating topic -- it seems like there is a lot of math involved, and art is tricky in itself! But, it doesn't have to be difficult -- you can build some really cool things without a math or art degree. 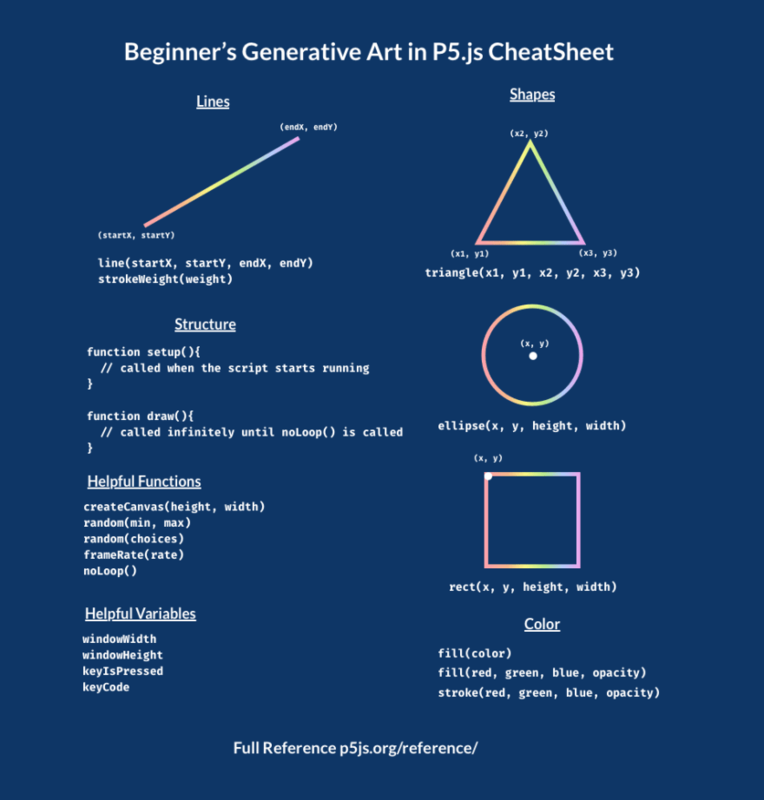 This post will break down what generative art even is and how you can get started building your own generative art. First, what is code art? Code art is any art that is built using code. There are endless examples on CodePen -- for example CSS art. Often, generative art draws inspiration from modern art, especially pop art that makes heavy use of orderly geometric patterns. However, it is a very broad and rich category of art created with code with a central characteristic: Generative art is art built with code, but, on top of that, it incorporates a self-governed or autonomous system in some way. Randomness is one type of autonomous system. By incorporating chance into a piece of code art, we get a different, completely unique piece of art each time you run your script, load your page, or respond to some user interaction. 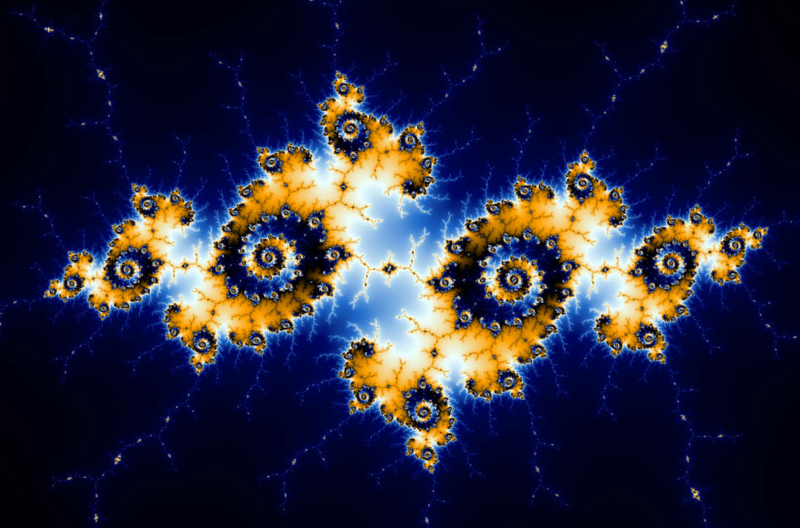 There are also more orderly autonomous systems of course, like Mandelbrot's Fractal, derived from a deceptively simple equation. We can also integrate both approaches, blending order and chaos! The artwork becomes a collaboration between the computer and the artist. Some aspects of the artwork are controlled by the coder, but not all of them. The artist controls both the randomness and the order in the art. In a way, with an autonomous system, the artist gives up control over their art, and the computer is doing it for them. A more nuanced perspective emerges when a new creative process is considered: tweaking these systems and observing their output. 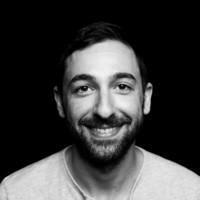 The coder-artist then engages in a feedback loop where they are constantly tweaking a system to produce more desirable and often more surprising results. This process embraces experimentation and happy accidents in a way that reshapes the role of the artist. As generative artists, we use the code basics like loops, control flow, specialized functions and then blend them with often unpredictable forces, to produce completely unique results unlike anything else that exists. What goes into a piece of generative art? Randomness is crucial for creating generative art. The art should be different each time you run the generation script, so randomness is usually a large part of that. Algorithms -- Implementing an algorithm visually can often generate awesome art, for example, the binary tree above. Geometry -- Most generative art incorporates shapes, and the math from high school geometry class can aid in some really cool effects. How can you approach a generative art piece? There are two main strategies for creating generative art, though most will fall between the two strategies. The first is to have no results in mind and see what the computer generates as you play around. The second is that you have a very finalized idea of what you want the art to look like, and the randomness only slightly changes the end result. setup is called when the program starts. You will probably create a canvas to draw on within it using the createCanvas function, and you may set some defaults there. It is only called once! draw is called after setup, and is executed constantly until you call noLoop, which will stop it from running again. You can control how many times draw runs each second with the frameRate function. With generative art, I usually put noLoop in the setup function, which makes draw only run once instead of continuously. Even really simple scripts can generate cool pieces of art! You can also create shapes with p5 -- like circles, triangles, and squares. Then, we can create some more shapes to build something more fun! We can add movement to our drawings by removing the noLoop function call in the setup function -- check this out! You can also play with color with generative art by randomly choosing colors. You can do this mathematically through RGB values, or you can generate a color palette with your favorite color picker (we've been using this one). You can set the fill color with the color function. It takes a bunch of different formats, like named colors, RGBAs, and hex codes. You can also change the color of the outline using stroke. You can also remove that outline using noStroke or make it a different width with strokeWeight. Once we have all of those pieces in place, we can combine the techniques to build some really cool stuff. Here's a Codepen Collection with even more! You can follow tutorials, fork CodePens, or Glitch projects and create something new and unique! Just make sure to give the original artist some credit too. Here's a cheat sheet with all of the P5 functionality we used for this tutorial. +1 for P5 and Dan Shiffman. Check out The Nature of Code for a bunch of cool tutorials and projects! I was just hanging out with @shiffman today! Great stuff @aspittel . I'm also impressed the page isn't all that laggy for me with all this stuff going on. ITP is kind of my dream program. And SFPC. I created Pencil.js for this kind of use. I learned p5.js a while ago and became frustrated by the syntaxe. I love OOP and it make a lot of sense in the graphical realm. This is awesome and thanks for sharing one of my little projects! Mine was made during a workshop with Tim Holman, he is awesome as is his generative artistry project! And working with canvas inspired me to do some other drawing based stuff, like the post I released this week on audio visualisation in React. Thanks for a great intro. Thats what i was looking for. You always have the most interesting articles Ali. Keep being awesome. Very cool. Love to see more takes on the artistic side of development, and the potential of programming as a creative outlet. Fantastic post Ali! I have been trying to get into more of this type of work on my own projects as I believe it adds another level of engagement for audiences. Keep up the great work. Yeah! I totally agree -- especially interactive elements to sites. Thanks! Another parallel question is how to generate short HQ AVI file from JS show on canvas? I haven't worked with an AVI file before with canvas, sorry! I just started playing with Canvas the other day!